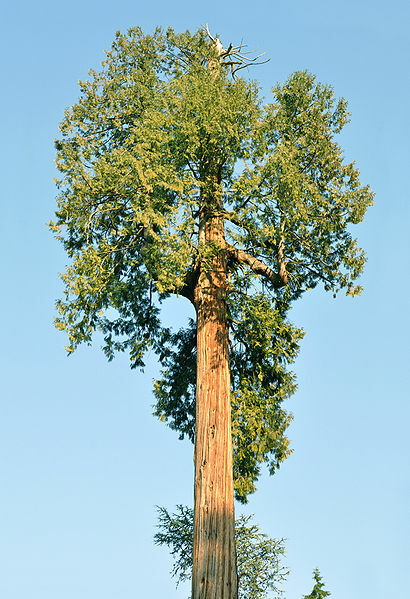 Fully grown in the wild, rather than cultivated purposely for use as timber, the western red cedar tree can be found between 45 and 75 metres tall. Considering your average oak tree is around 20 metres tall, the western red cedar is a large tree. The western red cedar’s diameter, or width is commonly 1 to 2.5 metres. At 2.5 metres, you’d need around four and a half adults holding hands to reach all the way around it. The oldest living western red cedar tree has been verified at 1460 years old, so they can be highly resilient trees under the right conditions. Mature western red cedar trees naturally produce a chemical that acts as a fungicide and is one of the reasons why cedar trees have been known to live for so long. Like the timber, the western red cedar tree itself has a distinctive smell.